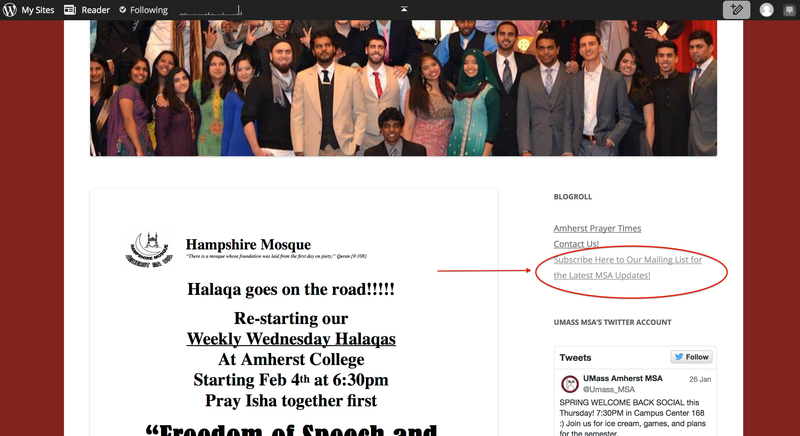 Hampshire Mosque has had the pleasure of hosting Dr. Ali Hazratji for weekly wednesday halaqas in the past, and we are happy to say that the next few halaqas will be held at UMass Amherst! Please join us this Wednesday (3/2) and following wednesdays (9th, 23rd, and April 30th) at 6:30pm on Campus (locations vary, join email list for locations) for an enlightening tafseer and discussion of the Holy Quraan by which Muslims live their lives. All are welcome. We ask that you please come on time, invite friends who can benefit, silence mobile devices, and take notes to gain the most from this opportunity. Jazakum Allah Khair! Come be a part of a space where sisters in the MSA community can get together and discuss Islam as it relates to our lifestyles in a safe, comfortable, and knowledge-enriching way. These are Biweekly on Tuesdays at 6:30, the First one of the semester is coming up on Tuesday, February 10th at 6:30pm in the MSA office located in the Student Union Room 321 (women only.) So save the date! Keep an eye out on Facebook, Email, and Twitter for more information. Led by Sr. Zehra who has a degree in Sharia from Al-Azhar University in Cairo, and who has been a student in our very own 5-college system and can relate to the issues faced by many muslema students in modern times. Hope to see you there! The MSA office (321 Student Union) is always open to MSA members and friends at any time throughout the day. You can go to pray, or simply hang out in between classes. Our members have organized specific times to pray together in groups daily. We hope you can join us when possible to get the most possible benefit of prayer inshaAllah! Weekly Wednesday Halaqas are Back! It’s that time of year again! Join MSA for our spring semester Welcome Back Social! This is a great chance to meet people and catch up with those you haven’t seen in a while, while talking to the board about plans for the semester ahead. Be there if you want any questions answered about how MSA can help make your experience as a Muslim at UMass better. There will be fun games and refreshments will be served. See you there inshaAllah!! 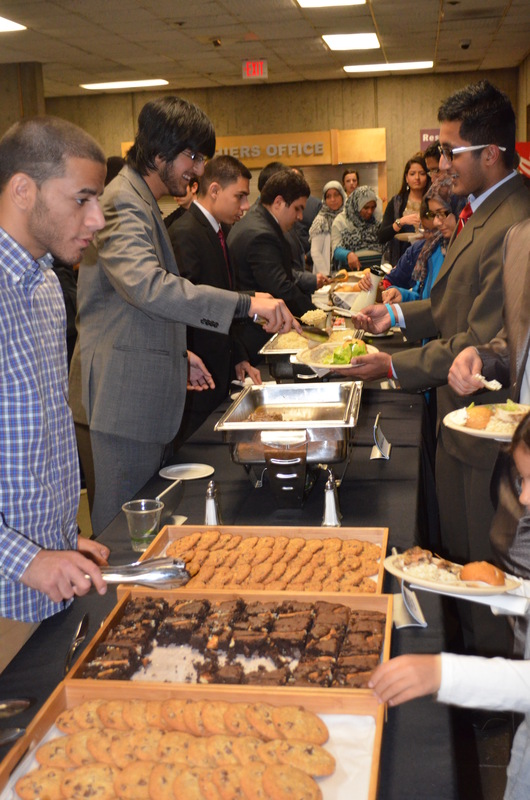 Eid Dinner 2014 a Great Success! All thanks and praise are due to Allah first and foremost, and peace and blessings upon our prophet Muhammad. We thank our dedicated board, MSA committee members, and UMass administration for their hard work resulting in the great success of our biggest event for the year – MSA Eid Dinner. Over 400 guests from UMass, Mount Holyoke, Smith, the Pioneer Valley, and as far as Boston and neighboring communities made the night memorable and enjoyable. Said Elkatta offered a recitation of the Quran to begin the event. The verses recited were 10-14 of Al-Hujurat which hold a message of brotherhood, respect, and unity, as was the theme of the Eid Dinner. 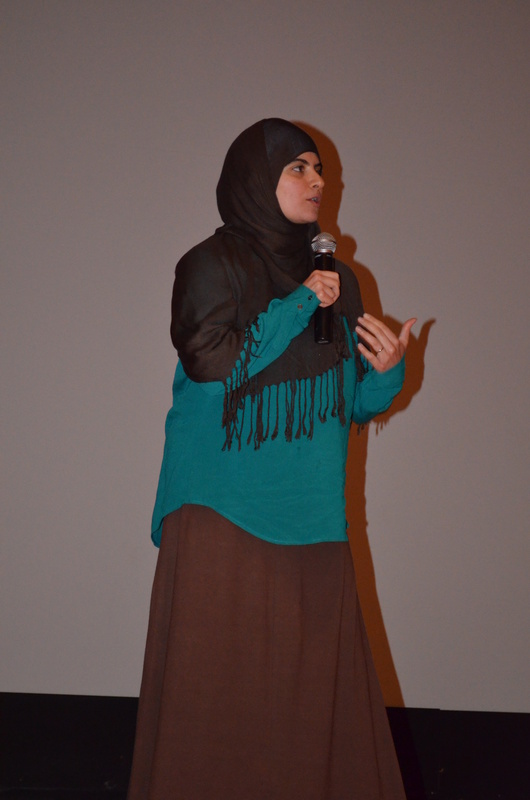 We were fortunate enough to have Maryam Amirebrahimi join us for the evening and give the keynote speech in which she shared a powerful message on Diversity and Inclusion that featured the story of Bilaal (RA) and his experiences with racism in the time of the Prophet (SAW). Lazaro Perez, one of our very own alumni offered a powerful spoken word. UMass RANG -the school’s first and finest Hindi A Capella group- shared their talent in a captivating performance including a medley of “Some Nights” that followed the tempo of the audience’s snapping. A special thanks to Neaama Bourote and Hamzah Dweik for being wonderful energetic hosts. THANK YOU to all who joined us, we hope to see you at future events, God willing. Sisters: Halaqa on the 14th and Henna Night on the 16th! Join us for the MSA’s first all-women halaqa this semester with the very knowledgable and awesome Sister Zehra! As well as being an educational space this is a good opportunity to have a comfortable way to connect with other sisters and share your thoughts, ideas, and discussion. 6:30PM in MSA Room! !